This is really an exciting year for the toy manufacturer Sphero. 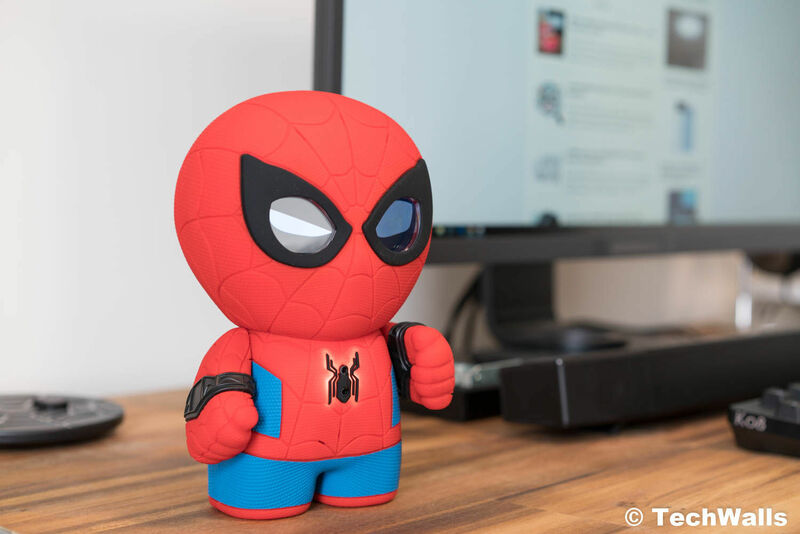 After the successful launch of Star Wars’ BB-8 robotic toy, we had the amazing Lightning McQueen, and now Spider-Man. Every boy on Earth loves the Marvel superhero, so I really wanted to try it out. Could this be the perfect gift for your kids in the holiday season? We’re going to find out in the review. Inside the box, we have the Spider-Man, a charging base, and a microUSB cable. The charging adapter is not included but you can use any USB charger. I really love that Sphero makes it easy to charge the toy; there are metal contacts on the soles, so you will just need to place the Spider-Man on the charging base. The built-in battery could last just about 2 hours on a single charge, but it’s not an issue since the Spider-Man will stand on the base most of the time. The Spider-Man is another product coming from the partnership with Disney but it’s different to other toys. Many fans were disappointed since the expensive toy can’t move around like other Sphero toys, the only articulate part is the arms. Having said that, the Spider-Man is super cute with a big head, short legs, and a fat body. 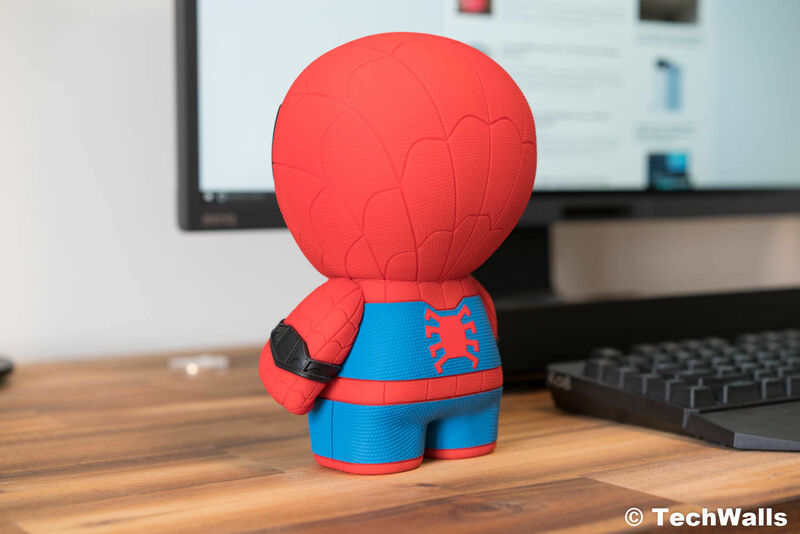 He comes in a rubber suit that feels very durable and clean, I leave it on my desktop for over a month and it doesn’t catch dust like other rubber toys. It is also interesting that the eyes are animated by using 2 LCD displays, it makes the character lively with a variety of expressions. This is the first non-robotic toy from Sphero but it is also the first one coming with AI. Although the AI here is not enough to call this a smart toy, it makes the Spider-Man much more interactive and fun. After turning on the Spider-Man by pressing the Spider logo on his chest, you will need to set it up with the Spider-Man app, which is available on Android and iOS. The process is easy but it takes a while to update the firmware. Now, you can start playing with the Spider-Man, with or without the app. By using the app, you can choose a specific activity and have some advanced settings. However, kids can totally play by pressing the Spider logo. A single press will start a random activity while a double press will allow you to give him a voice command. You can have some chit-chat with the Spider-Man and he will ask you some questions, however, he doesn’t understand your answers at all. He often gives general responses although when I say something meaningless. Besides, the number of voice commands you can say is limited, you will just be able to ask him to tell you a joke, a story, or follow him to fight criminals. It comes with 100 comic books worth of content, so you will spend a lot of time to discover them all. The speech recognition of the toy is not so good. If you’ve used some voice assistants like Google Home or Amazon Alexa, you’d be disappointed with this one. Despite the limitations, I believe the Spider-Man by Sphero is still a very interesting toy for kids, they’d love to place it on the bedside table. It can work as a simple alarm clock, and there is a guard mode that detects movements and gives you a report when you’re back. 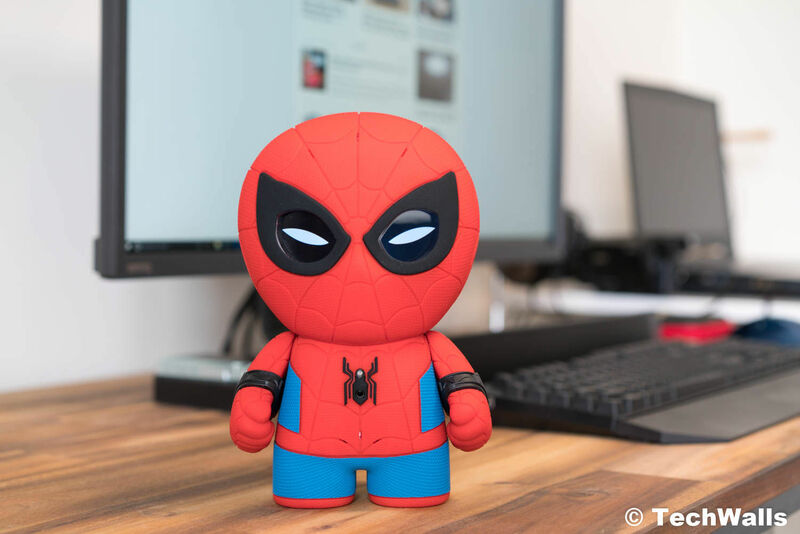 Besides, we have the Watch With Me mode as seen on other Sphero toys; you can watch the new Spider-Man animated television series on Disney XD with this toy and you can see his reactions in real time. The recent Sphero toys are really amazing and we can see they are trying to build more personalities into the characters. I can’t wait to see future products from the manufacturer. Another important feature is that the manufacturer’s dedication to privacy. The voice recognition chip is built inside the toy, so all the conversations are stored locally and not uploaded to the cloud. So you can be confident that your kids are safe from online attacks, no sensitive information could be leaked on the Internet. The Sphero Spider-Man is another unique toy for kids and fans of the superhero. I don’t recommend the product to adults but young kids will love the interactive toy, especially when they can listen to a lot of stories and jokes from it. An interactive Spider-Man for young children.